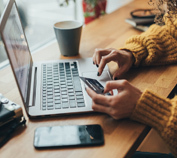 Global online retail sales are expected to grow by 22% in 2019, but 96% of US online shoppers still visit stores for apparel, shoes and accessories. Where do your customers make their buying decisions? Can you accurately predict drive time for your best customers to your physical locations? Are you able to give them the services they need, when and where they need them? Do you have accurate and relevant insights into your trade areas in order to drive more effective store placement and customer marketing? Retailers are turning to location analytics to make better business decisions and guide marketing initiatives. Yet, while they possess the foundational data to do so, many are left unsure how to make it better, or what to do with it. Over the past 15 years, Bill has been helping clients leverage spatial analytic solutions to optimize store networks, accurately forecast sales, identify and target in-profile customers, and research omni-channel interaction and trends. His experience crosses multiple industries including: retail, restaurant, health-care, telecommunication, B2B, and public sector working on behalf of clients in North America, Europe, and the Middle East.